The Standard Handwashing Training Kit is our recommended kit for training providers. 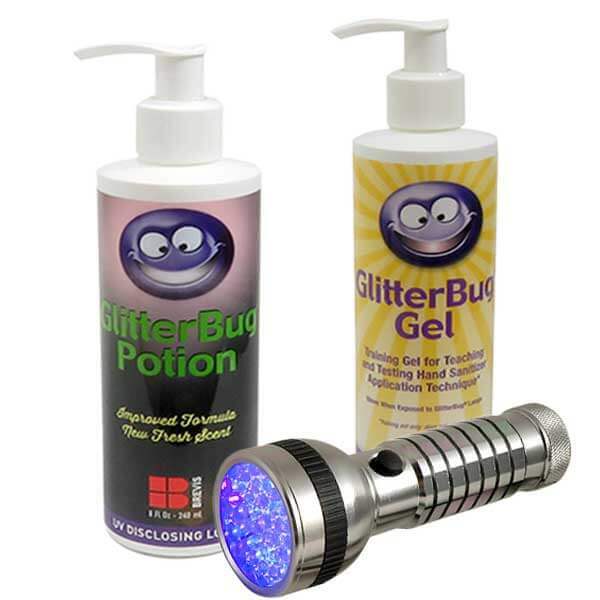 With the increasing use of hand sanitisers in hospitals and hospitality, we recommend both the potion and gel. This ensures staff know how to wash and sanitise their hands. 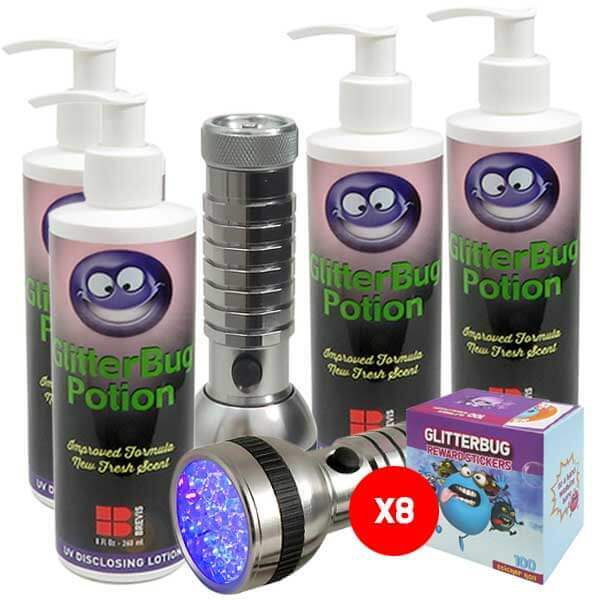 For the pro trainer, this kit gives you 3 full-size bottles of GlitterBug Potion and a single bottle of GlitterBug Gel, to allow you to effectively teach hand washing and hand sanitisation. 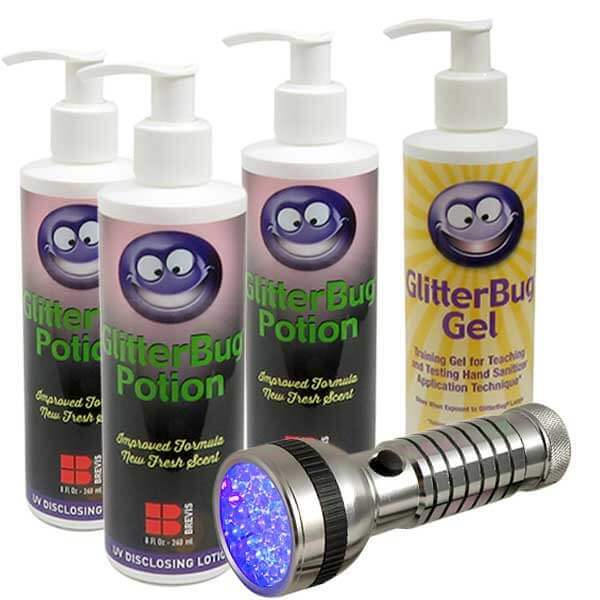 Teach over 800 people how to wash their hands in a fun and effective way with GlitterBug Potion.